We are long past the baby stage, but I won’t lie when I tell you I’m kind of missing my diaper bags. Since my boys outgrew diapers and me needing to carry 100 things around all day, I switched back to using purses and while that’s fine, it’s been a few years since I found one I really loved. When I did use them, they were not exactly stylish diaper bags. Mine had bright colors and bold patterns. They were cute but I wasn’t thinking about anything office related when I chose them. But that meant when I needed something a little more professional, I couldn’t re-purpose the bags I already had. Over the years, they have been passed on or donated to make room in my closet. Yet, now I face another issue – work! I work from home so I rarely have the need for a laptop bag. But on the days when I do want to work at a coffee shop or while my kids are in swim lessons, I find myself reaching for the nearest tote bag, back pack or even a reusable shopping bag just so I can get out the door. 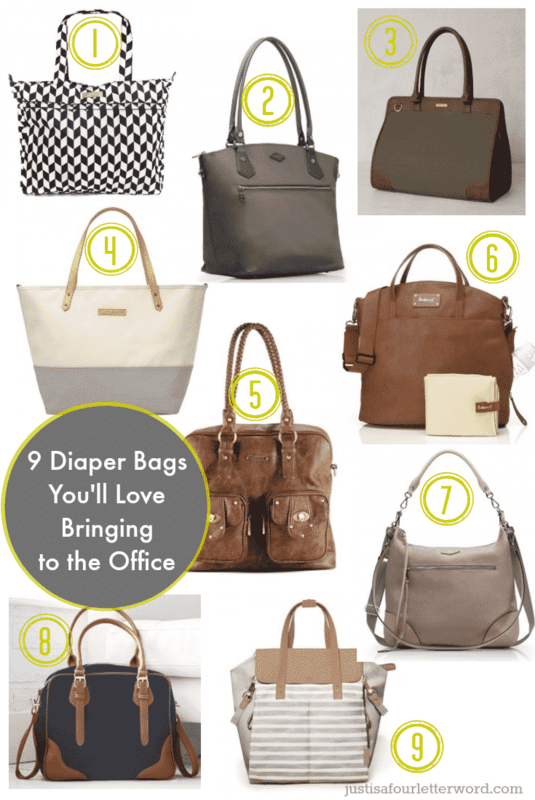 If you are the mom of a baby who may be going back into the workforce, even if it’s from home, I encourage you to think ahead and give that diaper bag a second life! I was recently introduced to The Baby Cubby online shop and when I say they have a major selection of adorable bags I am not kidding! On top of these amazing diaper bags, they have just about every other item you’ll want for your baby. If you’re still enjoying the sweet smells of a precious newborn or shopping for a shower gift, you’ll definitely want to check it out. I love these bags and would carry any one of them to a conference or to work. 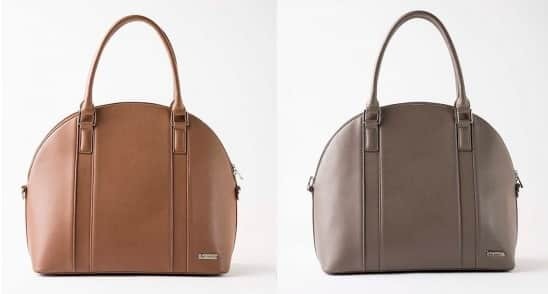 In fact, I’m considering one bag in particular and I’d love your help choosing a color! But first, the bags. MZ Wallace Chelsea – This bag is big enough without being too big. I love the leather trim and that it’s currently marked down to $118! And now I need your help! After looking at the more than 150 diaper bags on The Baby Cubby site, I think I need to bring one more little baby home. I’m loving the Little Unicorn Rotunda bag. It will be perfect for conference travel and those days when I want to work out of the house. But I can’t decide on a color! What do you think? Should I go with the brown or the lighter taupe? I’d love your input so please chime in below with your thoughts. And remember to check out the Baby Cubby for everything from maternity clothing to baby gear to shower gifts! There really is something for everyone. The Baby Cubby is for every parent out there who has ever felt overwhelmed or discouraged about becoming a parent. The Baby Cubby team is made up of parents who have been there and are passionate about encouraging, inspiring, and reminding parents how amazing they are and how important their role is. This team finds the best and safest baby gear and provide it to parents in a fun shopping experience with things like stroller tests on the stroller track, price match everyday – even amazon, offer free shipping nationwide at BabyCubby.com and actively engage with parents via social media and the Cubby Community blog to discuss some of those hard topics of parenting. Want more? Read my thoughts on parenting over the years. Diaper bags were never this chic when I was first pregnant! By the 3rd, I just got a unisex Lands End bag that my husband could carry around too. But I feel like these could also work as great mom bags since we still need to carry a ton of random junk for our kids.